This is an extremely scarce set! 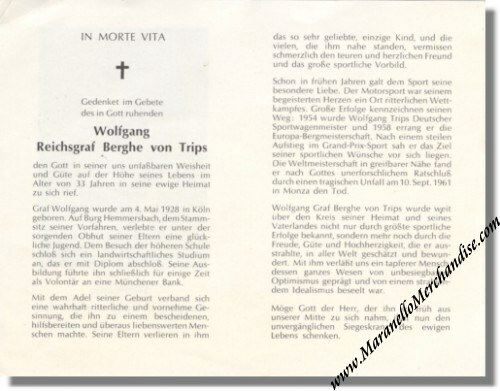 This is an ORIGINAL Death Notice and funeral cards set of Wolfgang Reichsgraf Berghe von Trips. 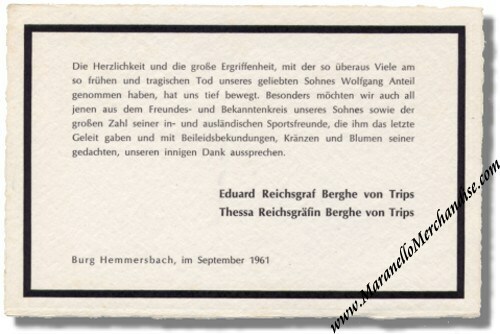 Only a few selected friends of the family received this card in 1961 after Wolfgang's untimely death during the 1961 Grand Prix of Italy at Monza when his Ferrari 156 Sharknose flipped over. 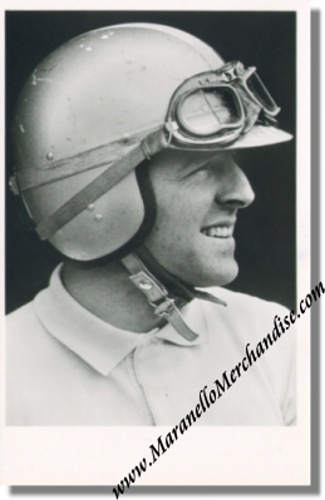 Photo card; front shows von trips in helmet; the rear reads simply Wolfgang Graf berghe von Trips. Measures approximately 3.5 x 5.5 inches. In Memoriam card. 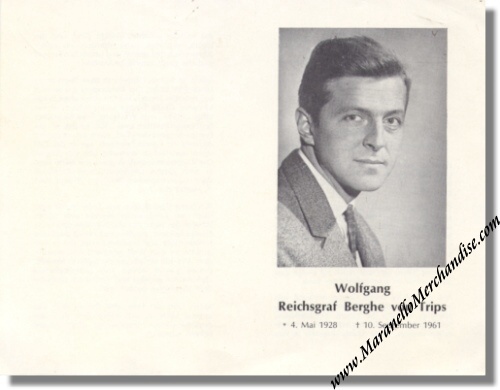 The front shows von Trips in a suit and lists his birth and death days. The rear shows an in memoriam written by von Trips's parents. Measures approximately 6.1 x 5 inches. Thank you card by von Trips's parents. Measures approximately 7 x 4 inches with ragged-edge finish.